To celebrate this Lunar New Year, Unipin, Paypal and us are bringing you another incredible event! From February 5th at 00:00 PST to 17th at 23:59 PST a special top-up event will reward you with amazing prizes on February 26th maintenance! Step 1: During the event period, you need to top-up using Unipin or Paypal payment methods. Step 3: On February 26th’s maintenance, the prizes will be sent to your account cash bank! •	Receive a maximum of 1 prize per account considering the total amount charged after the end of the event (max 10.000 Rps). •	Once exchange/purchase RPs, DON'T need to spend the Rps on the game to participate. •	Not valid for JCPlanet accounts. •	ONLY VALID FOR MAIN ACCOUNTS (FREQUENT LOGINS, HIGH LVL CHARACTERS, RARE ITEMS, ETC). •	For account first purchase, Paypal account must be confirmed through Billing Team. 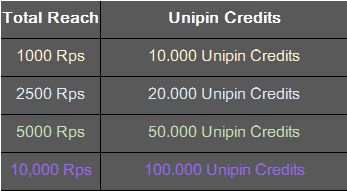 Additionally, for this event Unipin is running a promotion that gives you a chargeback up to 100.000 U.C for spending 10.000 Rps using Unipin Wallet during the event period. 3. This event doesn't apply to multiple rewards. 4. At the end of the event, if user top up Rps with total 10.000 Rps, they will get 100.000 and game item. Let's top-up and win some Bonus Prizes!! We would like to thank you for your constant support. And we are happy to announce that your prizes were already sent. Here's the list according to the ammount of RPs Top Up.. But my account can't be recharged. Can you help me solve it?